The official sponsors of the Olympics have excelled in the fatuousness of their advertising. 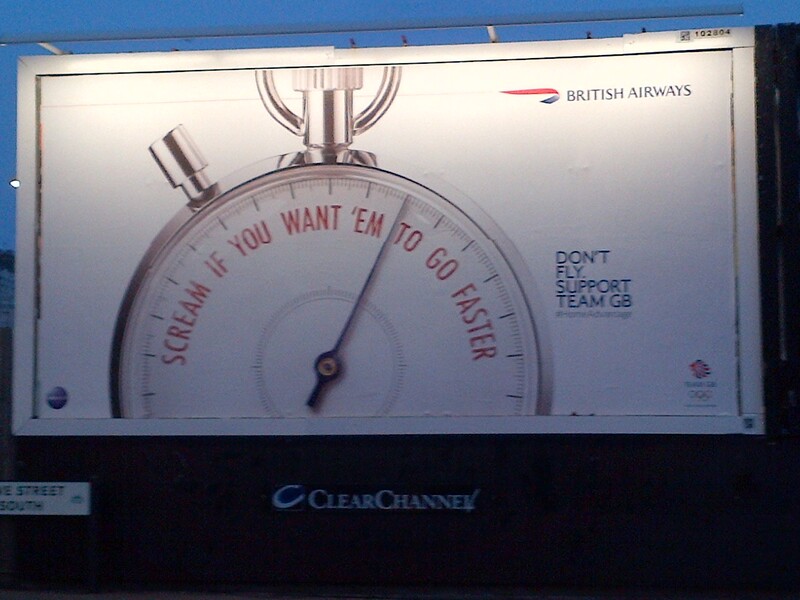 Take British Airways. BA has draped itself around the UK airports in which it operates and beyond. Annoying they certainly are. Take the one on the left. Not my best picture, I have to admit, but the point is well made. And it is a theme of sponsor advertising. 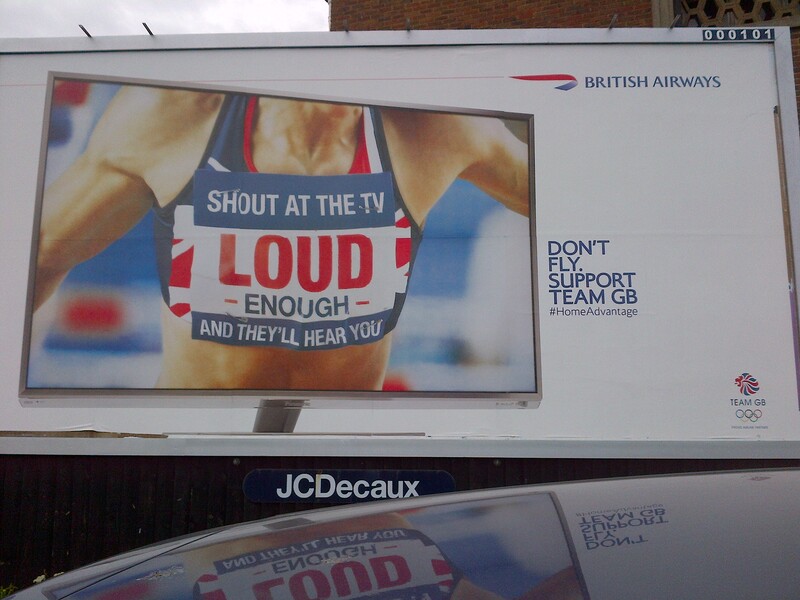 So, if you shout loud enough from the comfort of your own home, the athletes will hear you and hence do well. It is patently untrue. Even if I had a television and even if I cared to shout, which I do not on both counts, it does not matter how loud I shout, they will not hear me. And since when has it been propitious for an airline to advise people not to fly and instead to watch television? 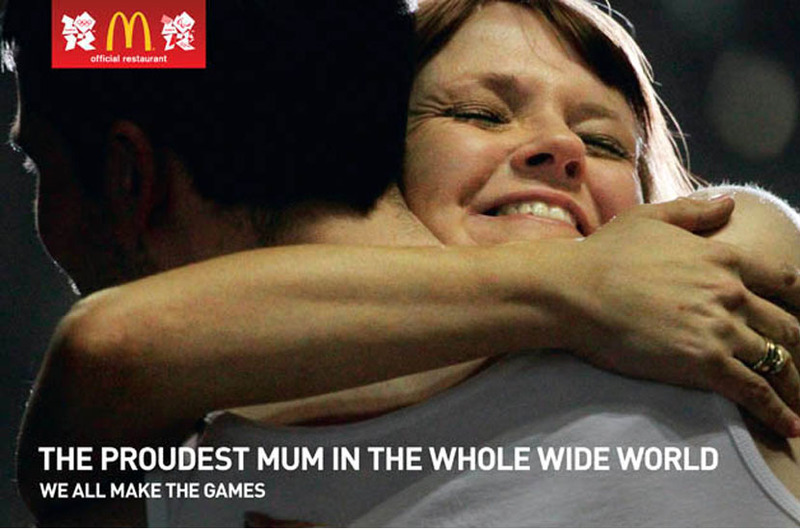 The McDonald’s campaign shares with BA the patently untrue theme of Olympic sponsor advertising. Clearly it is about ordinary people who are proud, patriotic and enthusiastic, amongst other things. However, what are the indicators of the proudest mum? There are not too many mums who are not proud. I know mine was proud when I graduated, but to suggest she was ever the proudest would have been silly. There were a lot of proud mums at the graduation ceremony. I would not have liked to have tried to measure proudness on that day. What is also quite interesting about the McDonald’s advertising is the tagline at the bottom: “We all make the Games”. There has been much debate about who can and cannot use the term “Olympics”. As a key sponsor of the “Games”, oddly, McDonald’s chooses to use the term “Games”, omitting the adjective that they paid so much to use!